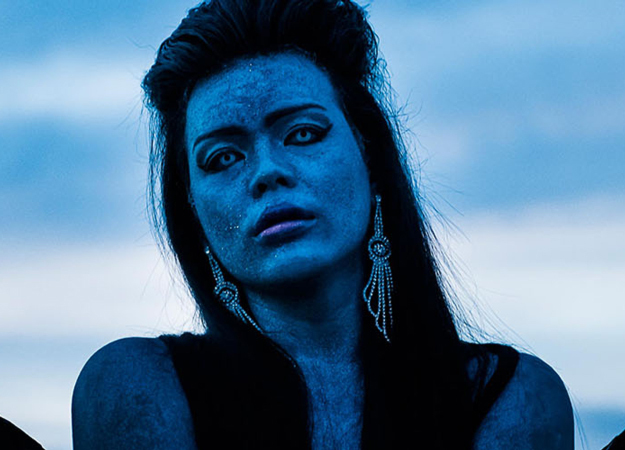 Asia Pacific Triennial of Contemporary Art (APT) is the Queensland Art Gallery | Gallery of Modern Art's flagship exhibition focussed on the work of Asia, the Pacific and Australia. This eighth edition emphasised the role of performance in recent art, with live actions, video, kinetic art, figurative painting and sculpture exploring the use of the human form to express cultural, social and political ideas, and the central role of artists in articulating experiences specific to their localities. APT8 included more than 80 artists and groups, an ongoing program of artist performances and projects; a conference as part of the opening program; extensive cinema programs; publications; and activities for kids and families. 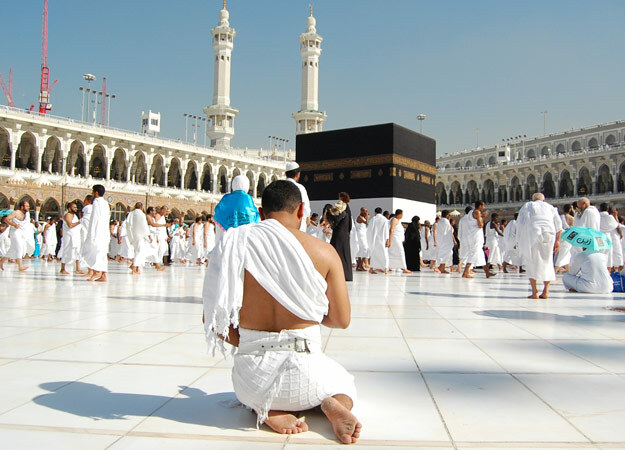 Two focus projects were the result of in-depth research and ongoing exchange with the region. Yumi Danis (We Dance) presents the vitality and complexity of performance in the cultures of some of our nearest neighbours: Papua, Papua New Guinea, Fiji, Solomon Islands, Vanuatu and New Caledonia. 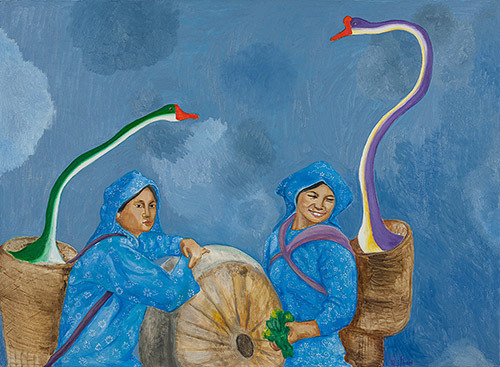 Kalpa Vriksha: Contemporary Indigenous and Vernacular Art of India looked at the breadth and vibrancy of Indigenous and vernacular art from regions of India. 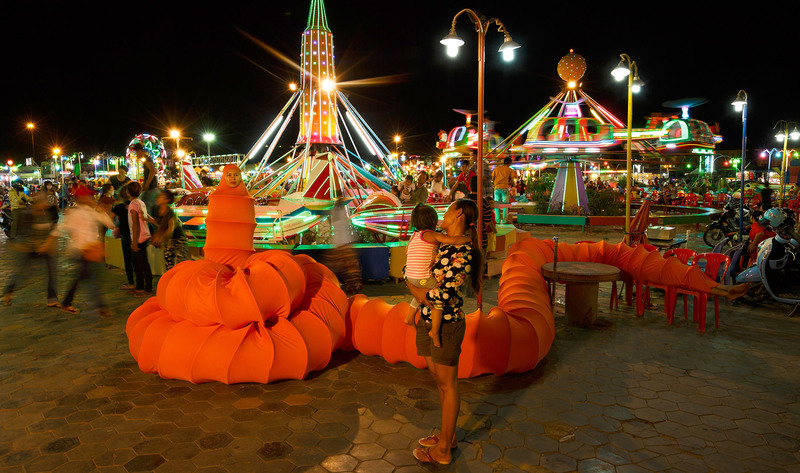 Also featured are site-specific installations by artists from UAE/Iran, India, South Korea, Myanmar, Australia and New Zealand. 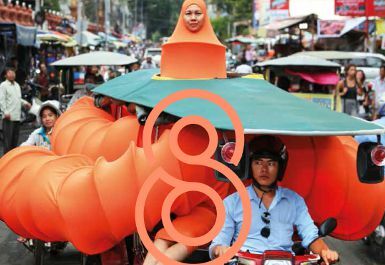 APT8 Cinema programs address the representation of Islamic cultures in popular culture throughout the region and showcased independent cinema from the Philippines. APT8 also saw the reintroduction of the APT Conference, and the development of a new component focusing on live performance, APT8 Live. APT 8 Kids included interactive artworks and activities developed in collaboration with the APT8 artists. Duan Jianyu, China b.1970 / Sharp, Sharp, Smart No.4 (from ‘Sharp, Sharp, Smart’ series) 2014 / Oil on canvas / 140 x 180cm / Image courtesy the artist and Vitamin Creative Space, Guangzhou / Proposed for the Queensland Art Gallery Collection / © The artist. 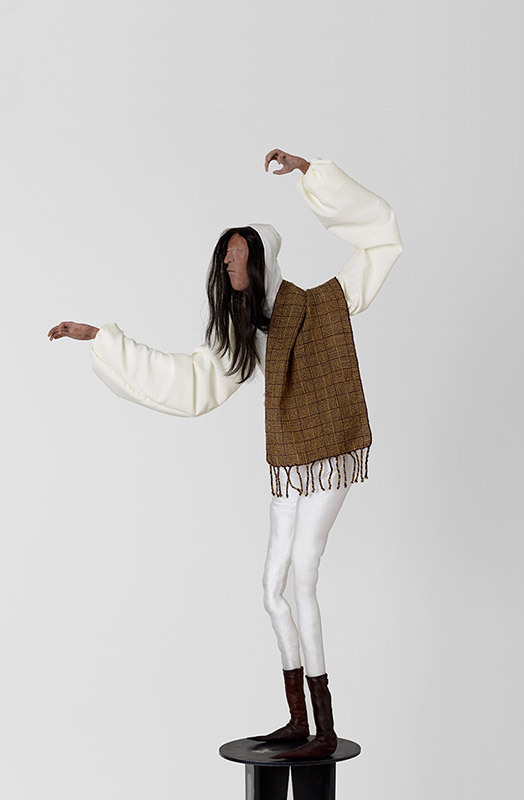 Francis Upritchard, New Zealand b.1976 / Bearer 2012 / Polymer plastic, fabric, wire, leather and synthetic hair over steel, wire / Purchased 2014 with funds from Tim Fairfax, AC, through the Queensland Art Gallery | Gallery of Modern Art Foundation / Collection: Queensland Art Gallery / Image courtesy Anton Kern Gallery, New York. Juan Davila, Chile/Australia b.1946 / Ohhhhhh! 2014 / Oil on canvas / © Juan Davila, Courtesy Kalli Rolfe Contemporary Art. 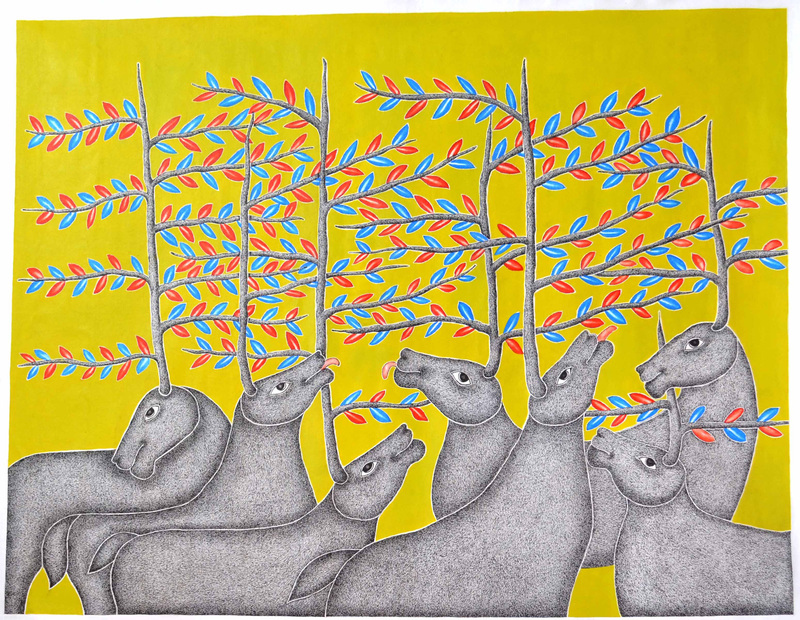 Venkat Raman Singh Shyam , India b.1970, Pardhan Gond people / Under the tree 2015 / Synthetic polymer paint on canvas / Proposed for the Queensland Art Gallery Collection. 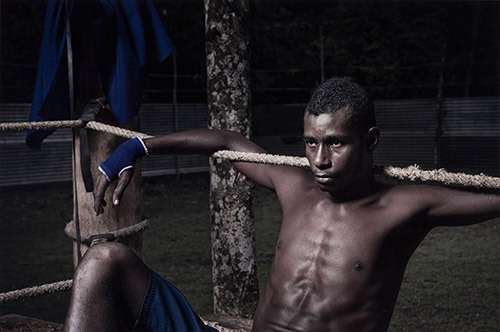 Taloi Havini / Artist / Autonomous Republic of Bougainville, Australia b.1981 / Stuart Miller / Photographer / Australia b.1983 / Mathew in the blue corner, Buka (from 'Blood Generation' series) 2011, printed 2014 / Digital print on Cansen Infinity Pantine Fibre Rag 310gsm paper / Purchased 2014. 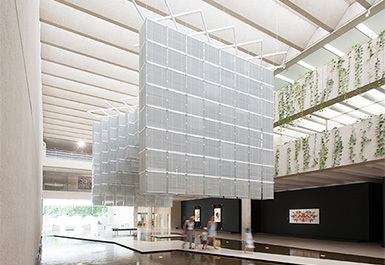 Queensland Art Gallery | Gallery of Modern Art Foundation. Cinema is an important component the APT exhibition series, highlighting key practitioners, cinema histories and lines of influence between the moving image and other forms of cultural production. Three projects have been developed for APT8 – 'Pop Islam', 'Filipino Indie' and a program of works by artist-filmmaker Lav Diaz. Together these projects reflect on the agency of the moving image in its varied contemporary forms and provide a platform to present some of the most engaging artists and filmmakers working throughout the region. In collaboration with the Gallery's Children's Art Centre, APT artists from Mongolia, South Korea, India, Malaysia, Iran, New Zealand and Australia are creating artworks and activities exploring contemporary art and ideas for young visitors and their families. 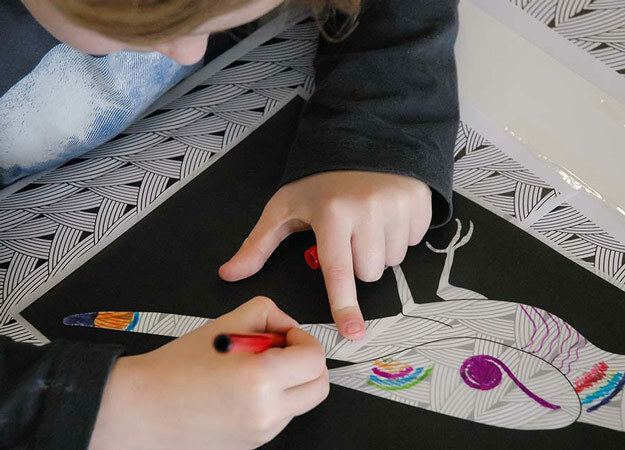 APT8 Kids will present these immersive installations, hands-on activities and multimedia projects throughout the exhibition, and an accompanying children's activity book that will continue the journey, with an of exploration different ways to draw, make and create. APT8 Kids on Tour will bring many of the exhibition activities to children and families in regional and remote Queensland. APT8 Kids is supported by Principal Benefactor Tim Fairfax Family Foundation and major sponsor Santos GLNG. The first ever APT8 Live is an ongoing program of artist performances and projects that expand on the exhibition's emergent themes of the capacity of the human form to express ideas. 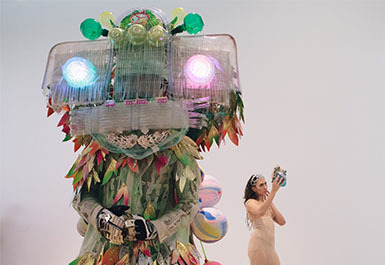 Starting on the opening weekend and animating GOMA and QAG throughout the duration of the exhibition, APT8 Live gives performance an emphatic presence in the Triennial. 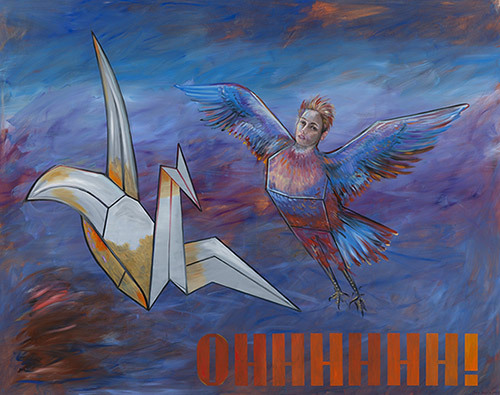 APT8 LIVE is supported by the Commonwealth through the Department of Foreign Affairs and Trade. If you are a media representative, please notify us of your intention to visit APT8 by using the accreditation form.